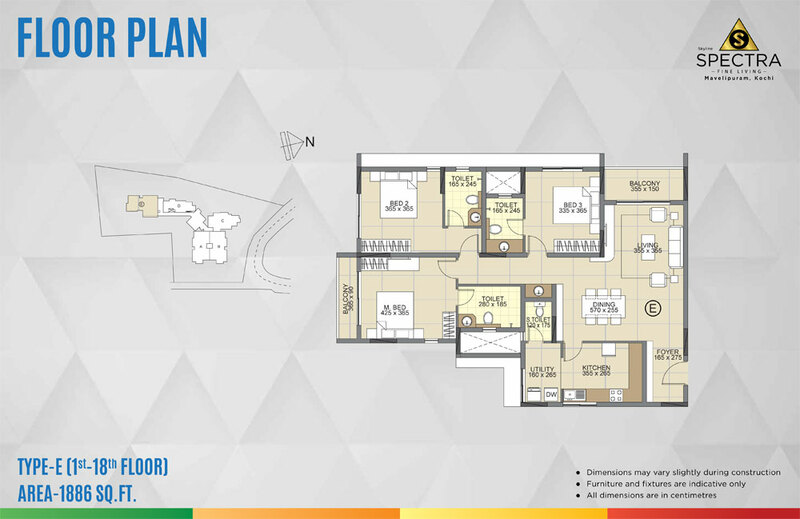 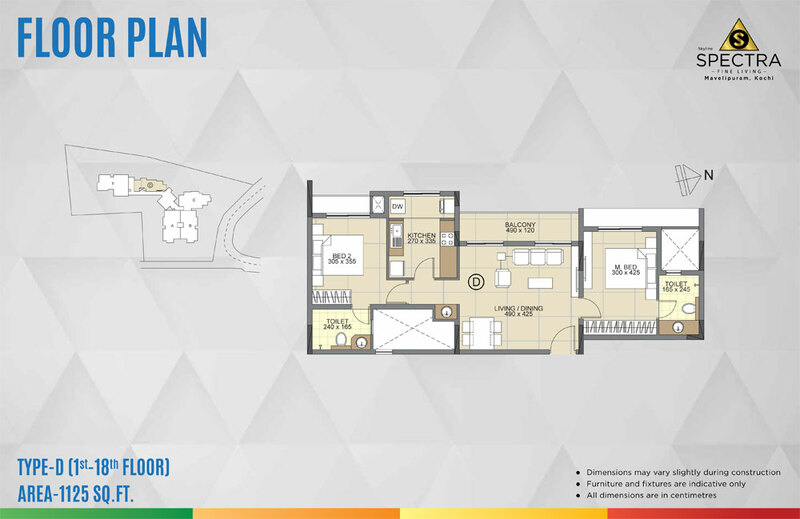 A colorful and vibrant life awaits you at these flats near Infopark. 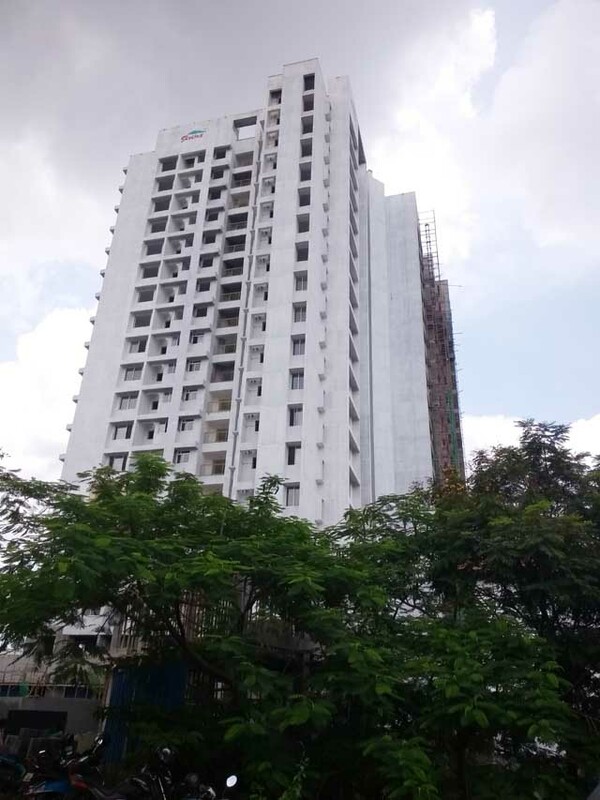 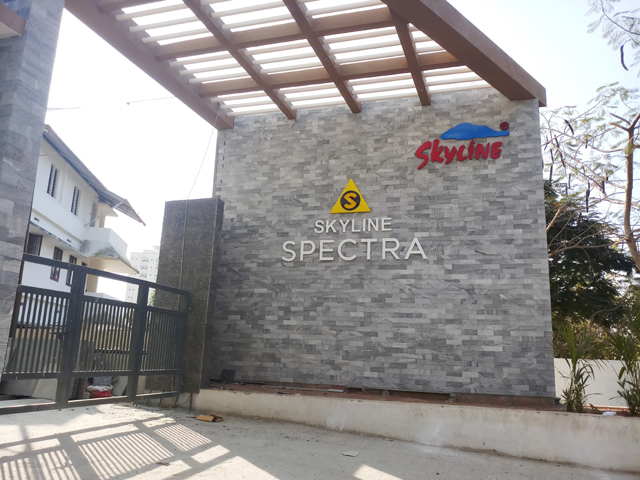 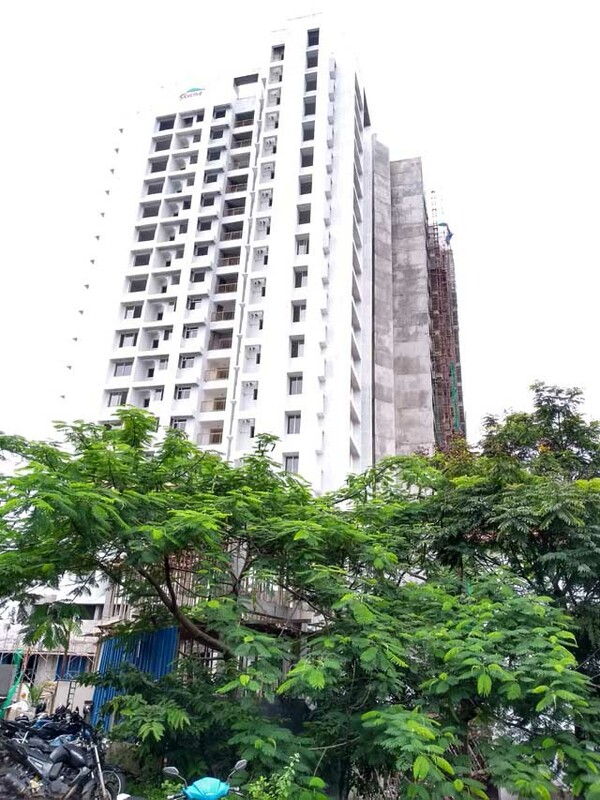 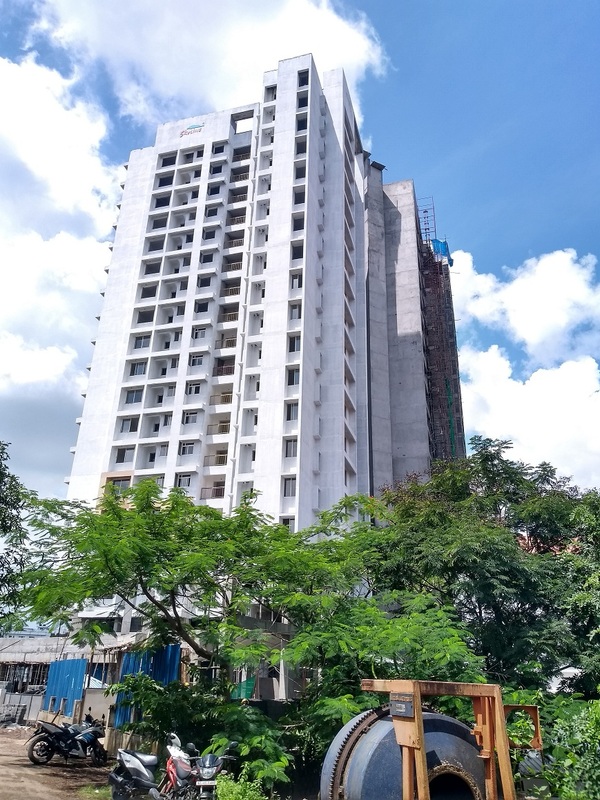 Skyline Spectra is the 136th luxury apartment project of Skyline Builders. 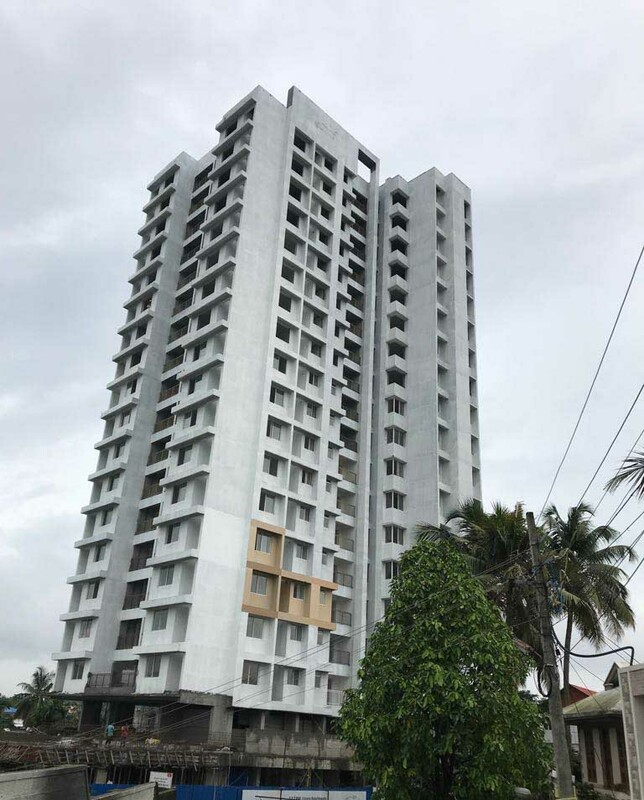 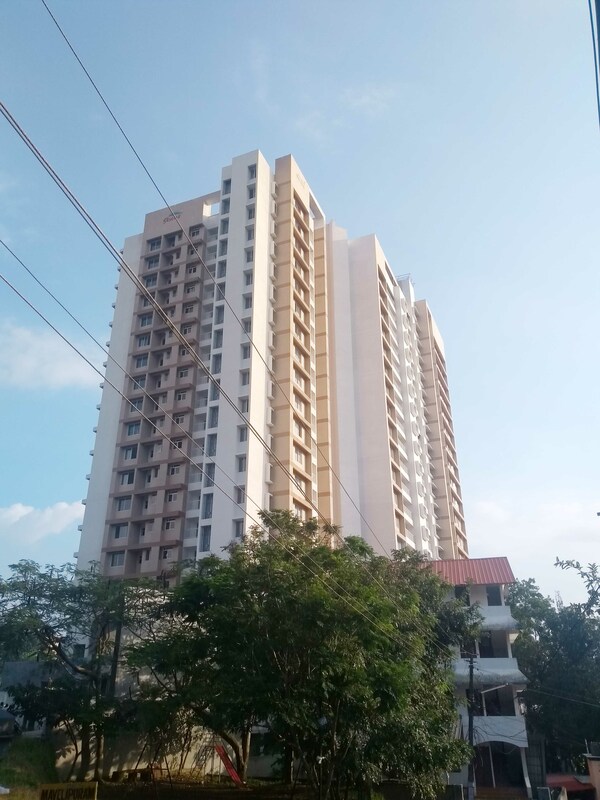 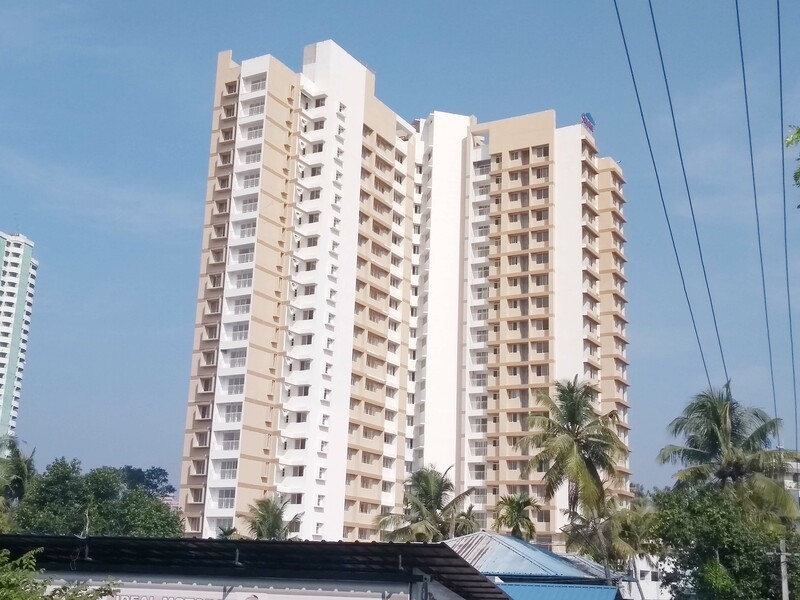 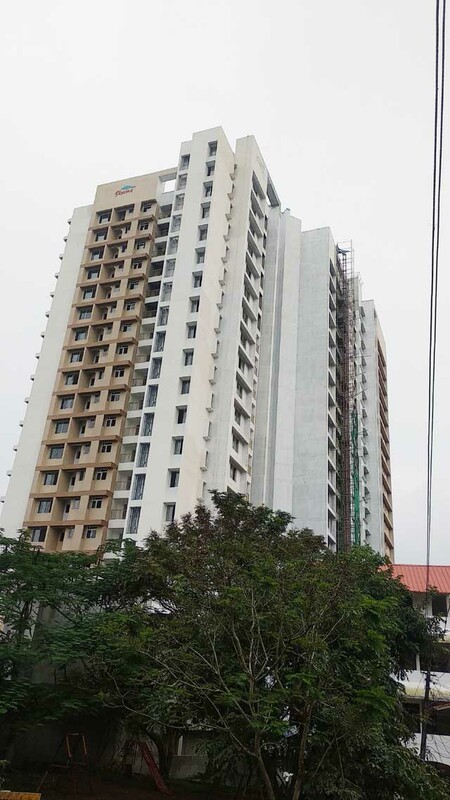 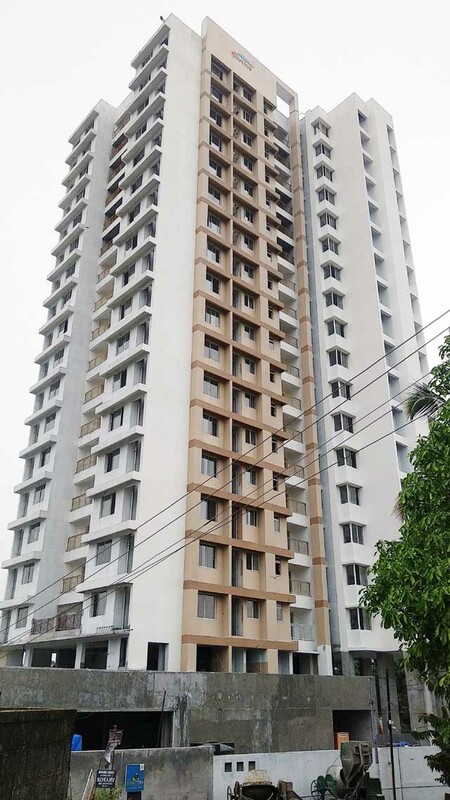 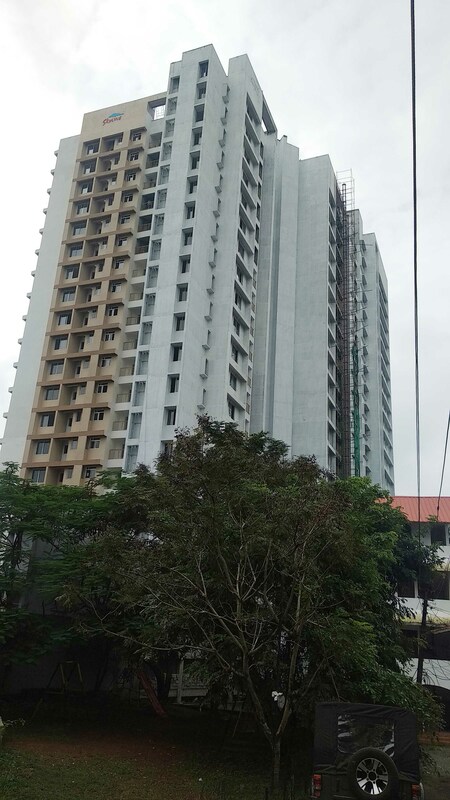 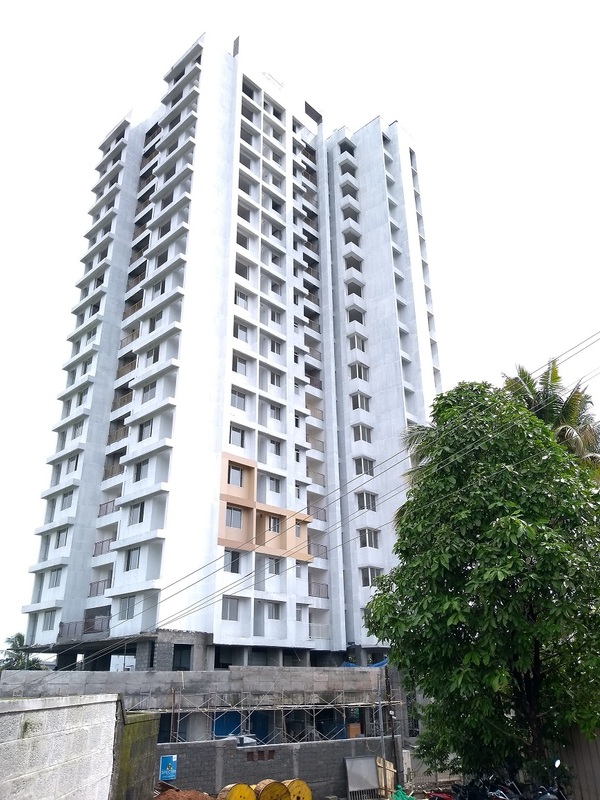 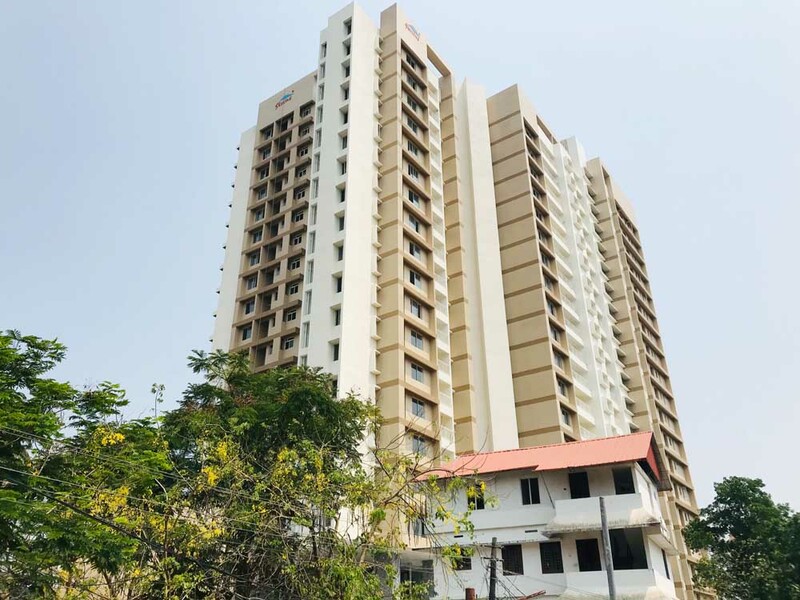 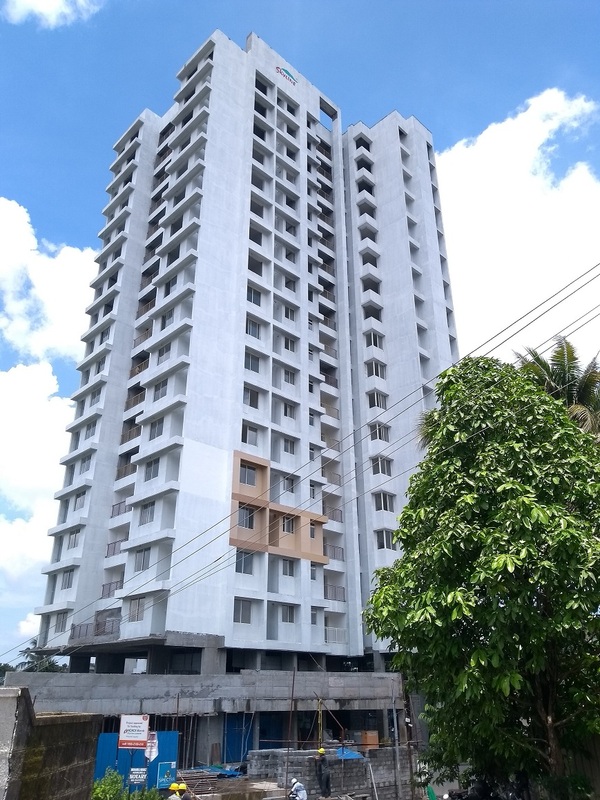 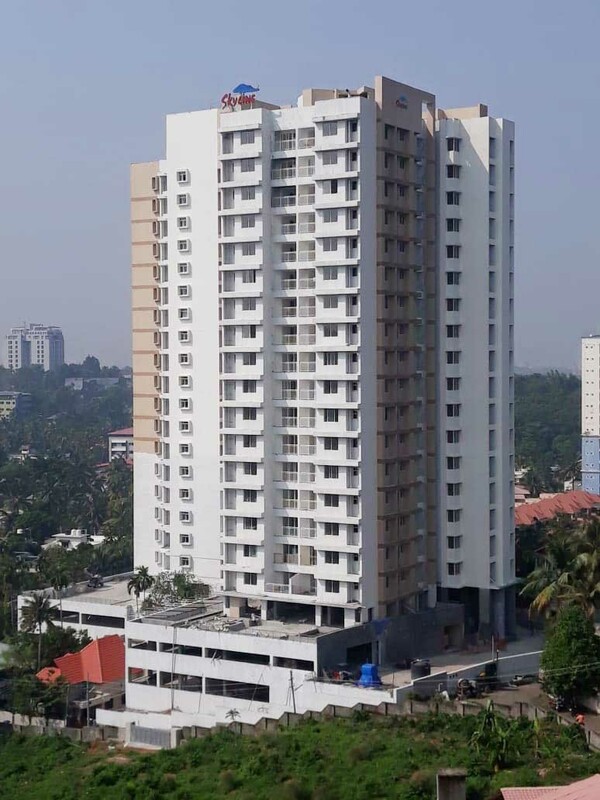 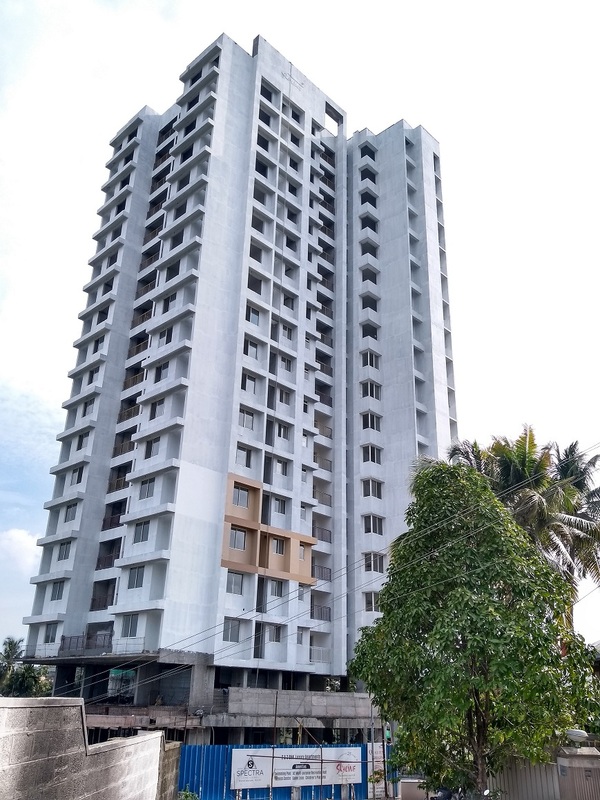 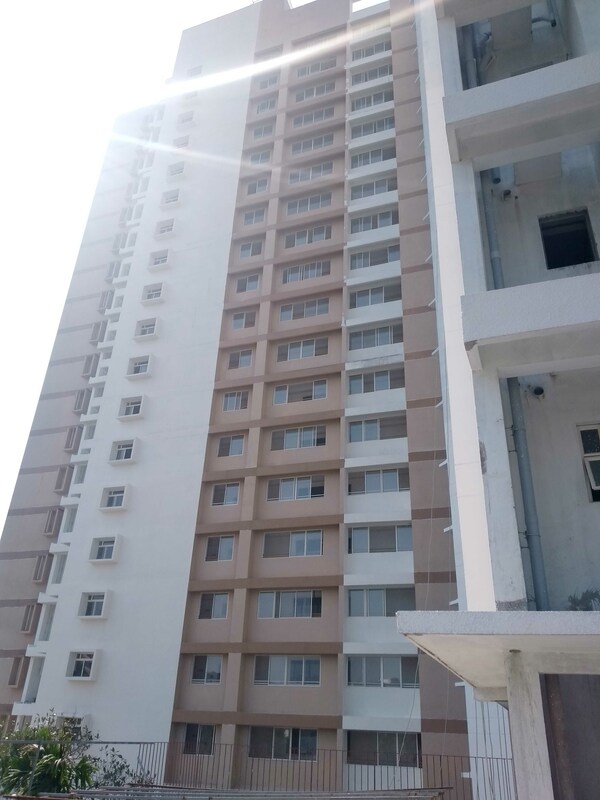 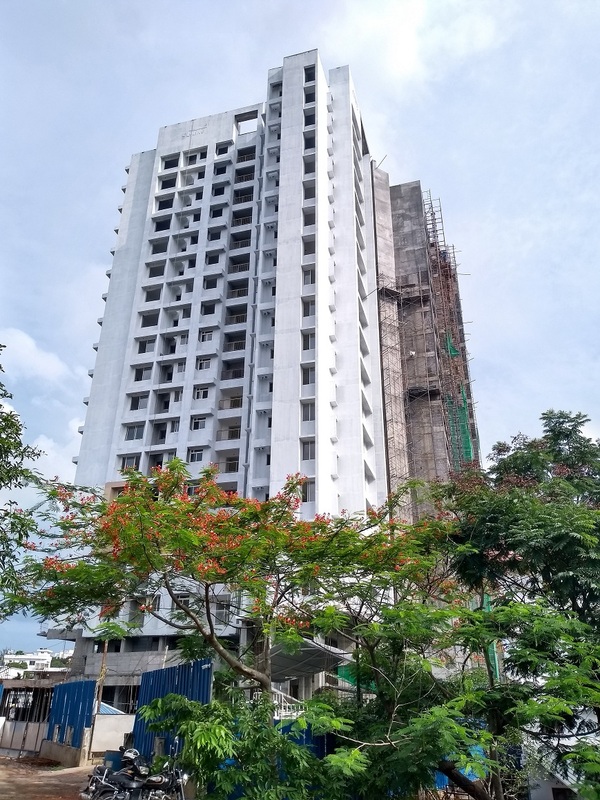 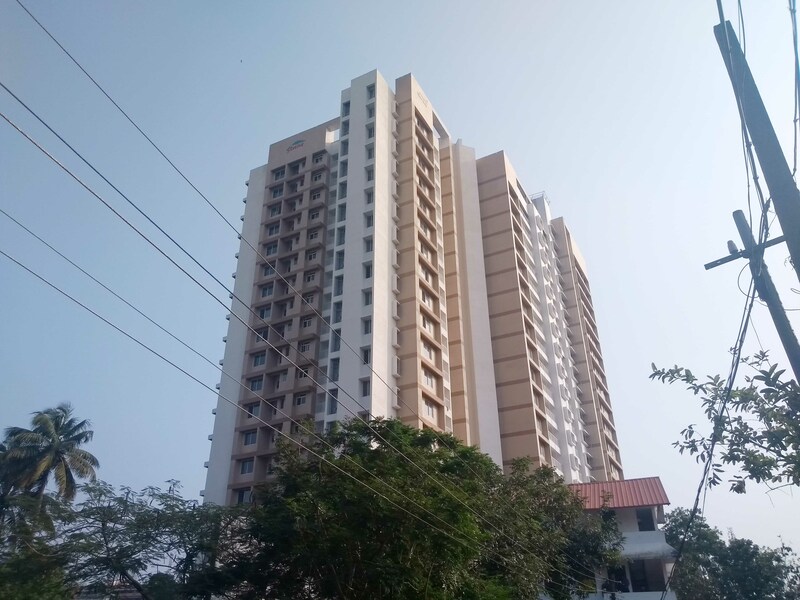 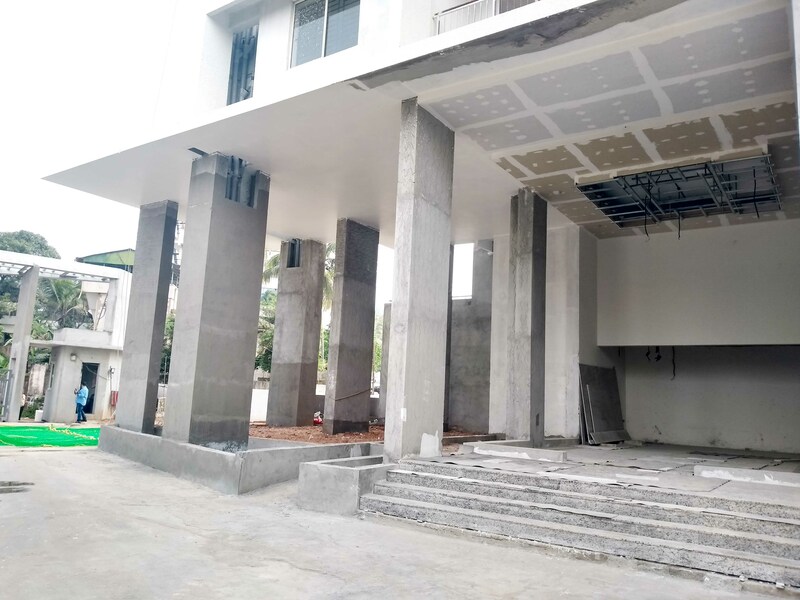 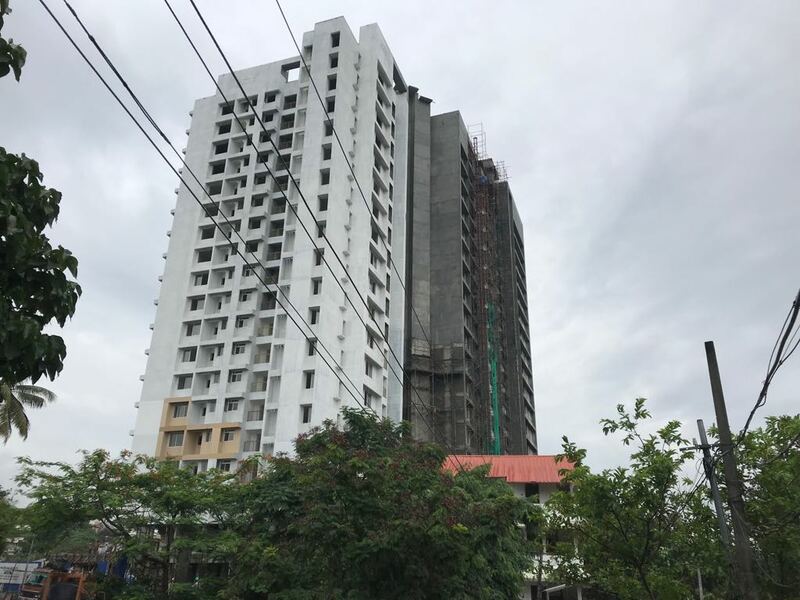 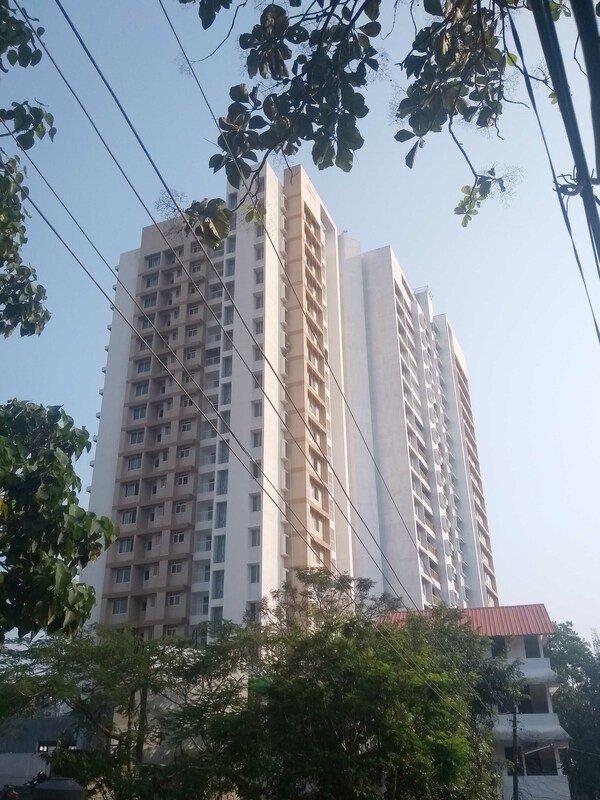 Located on Seaport-Airport Road, Cochin, Skyline Spectra has close proximity to every convenience like hospitals, educational institutions, the Collectorate, SmartCity, Infopark, Children's park, etc. 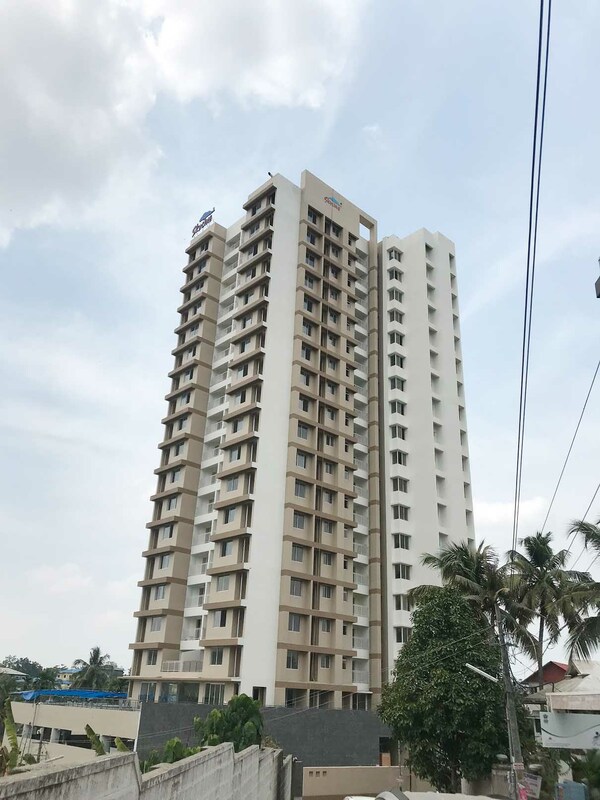 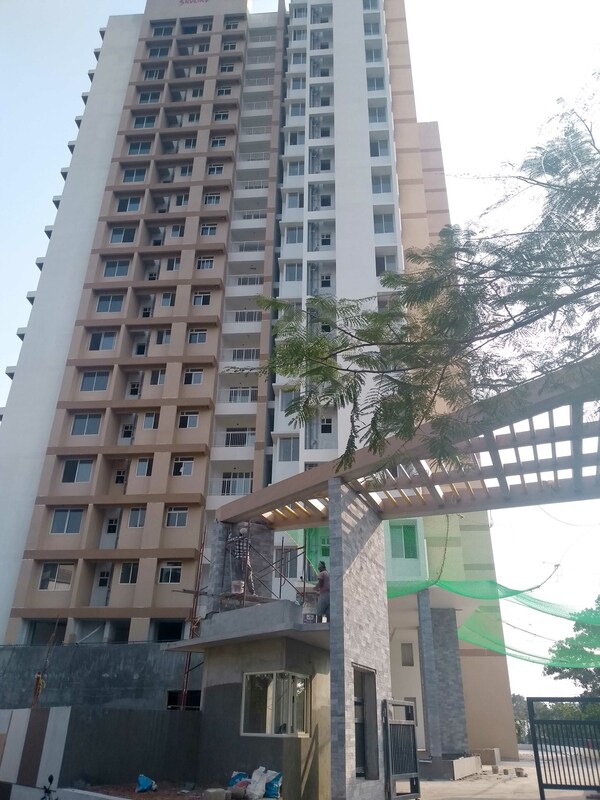 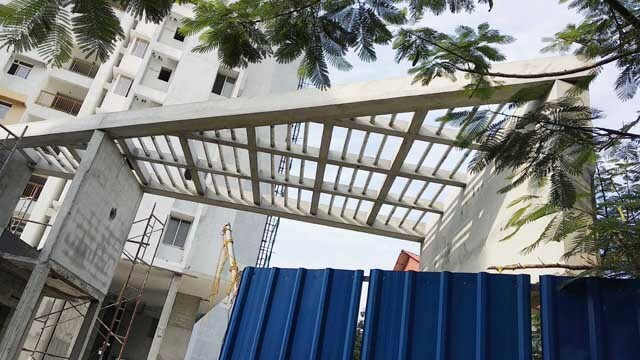 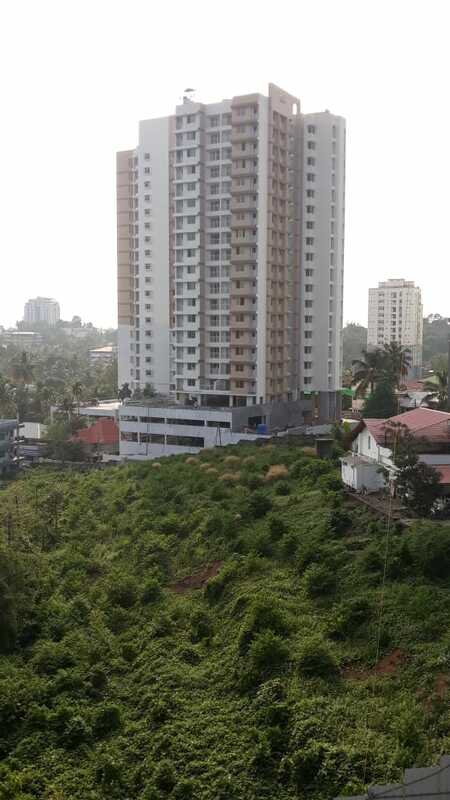 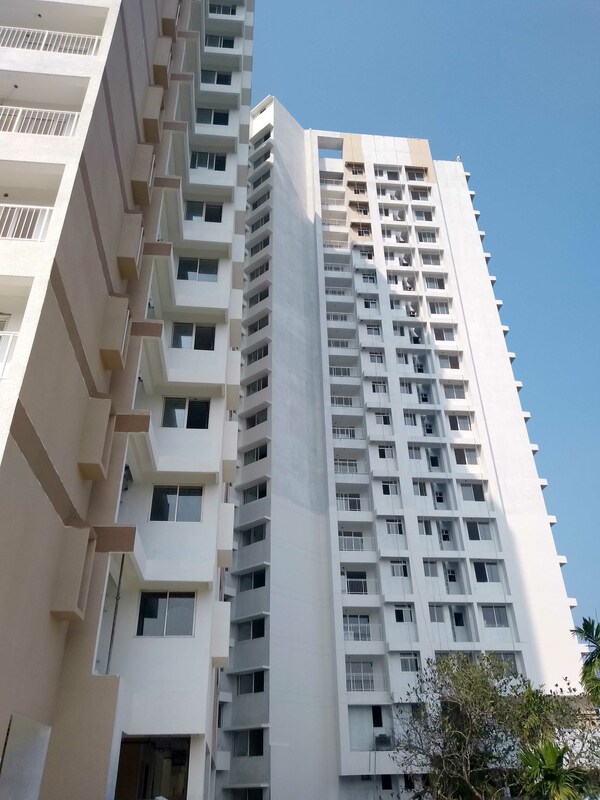 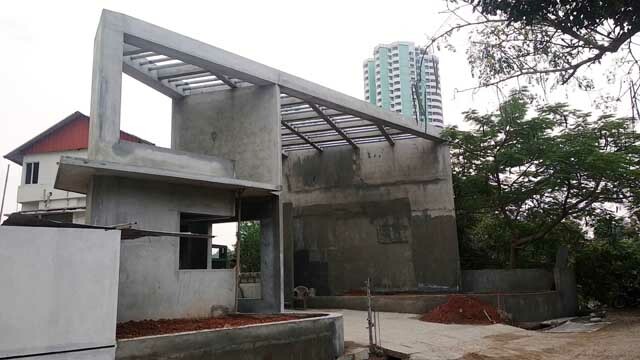 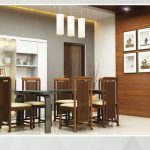 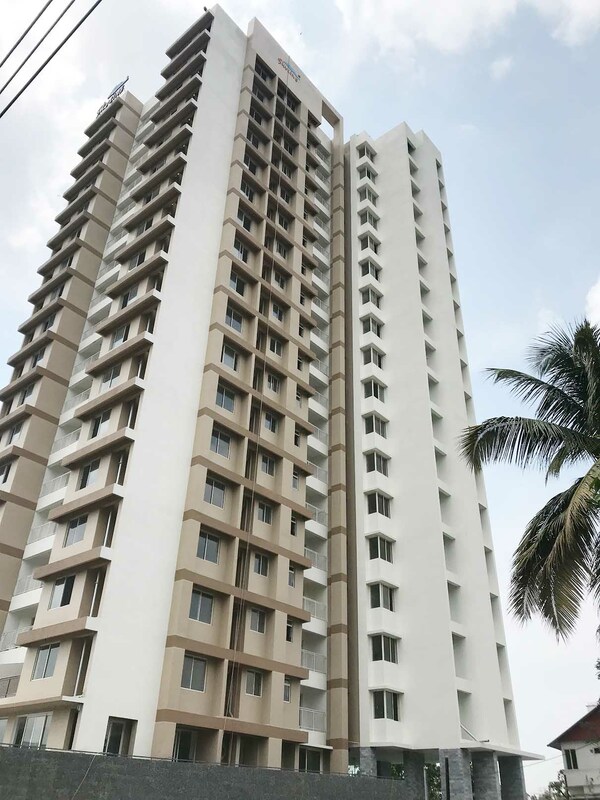 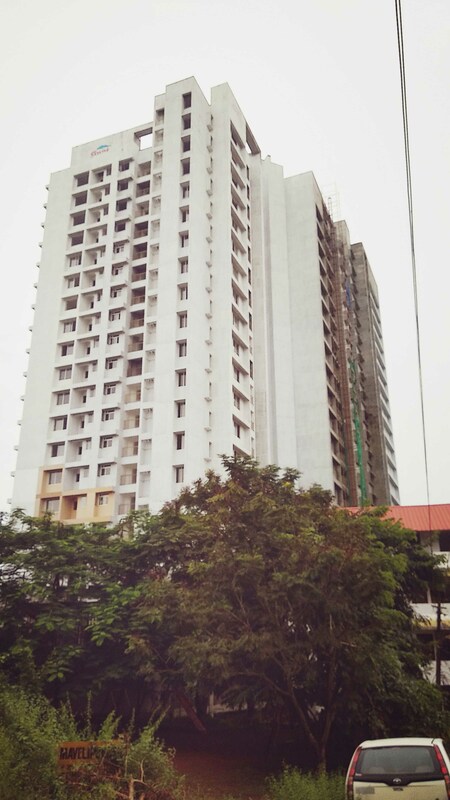 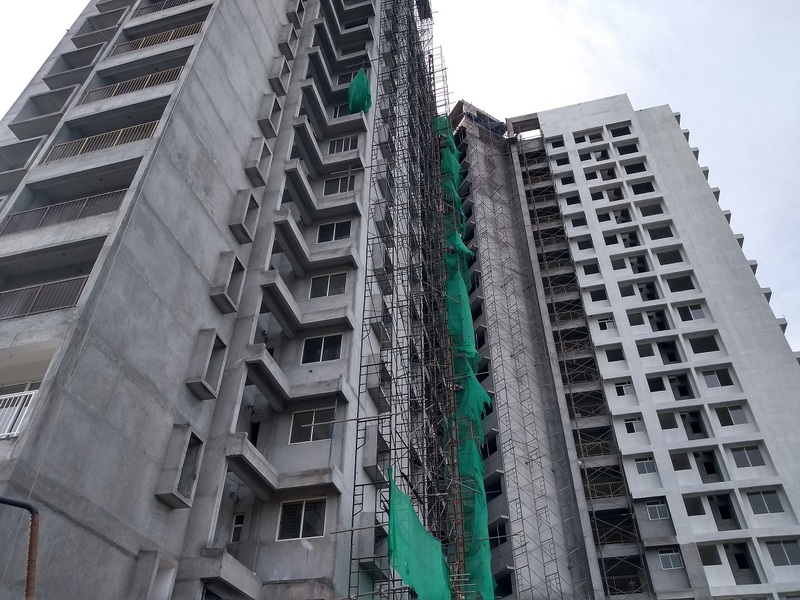 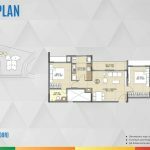 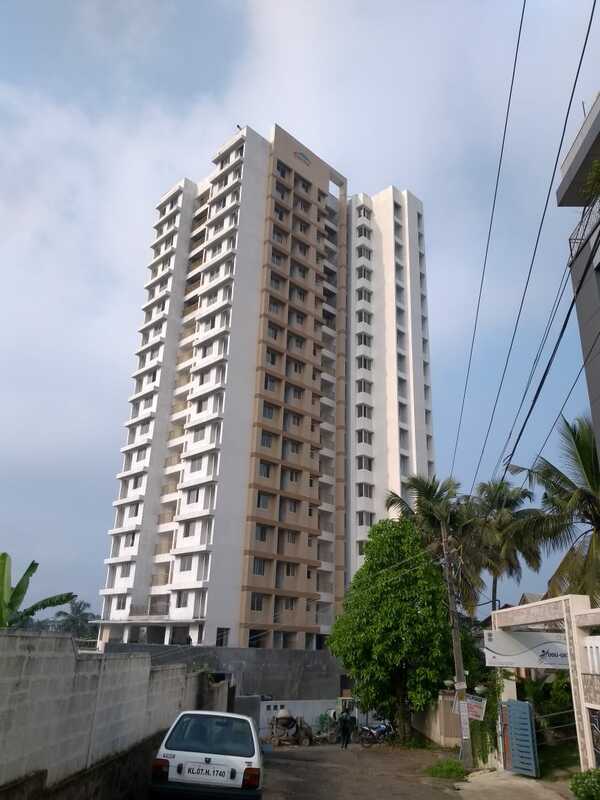 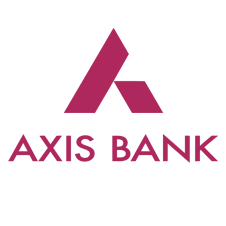 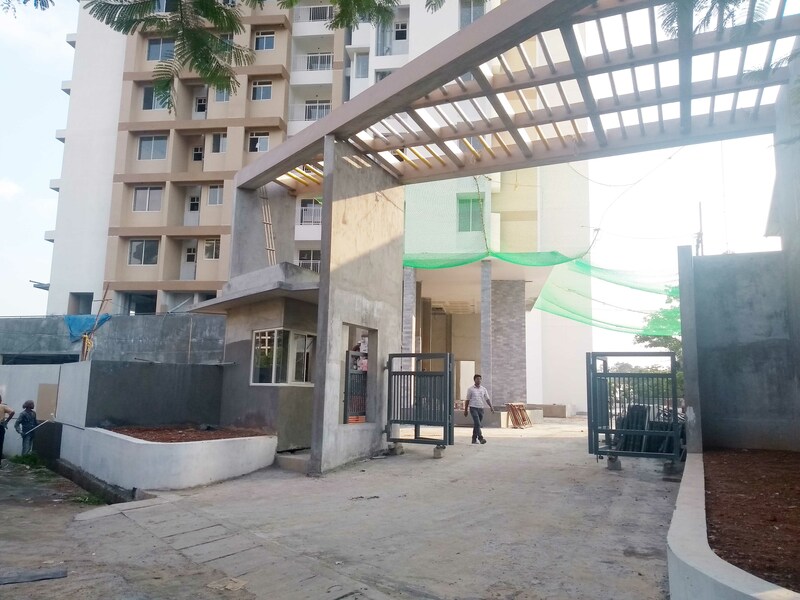 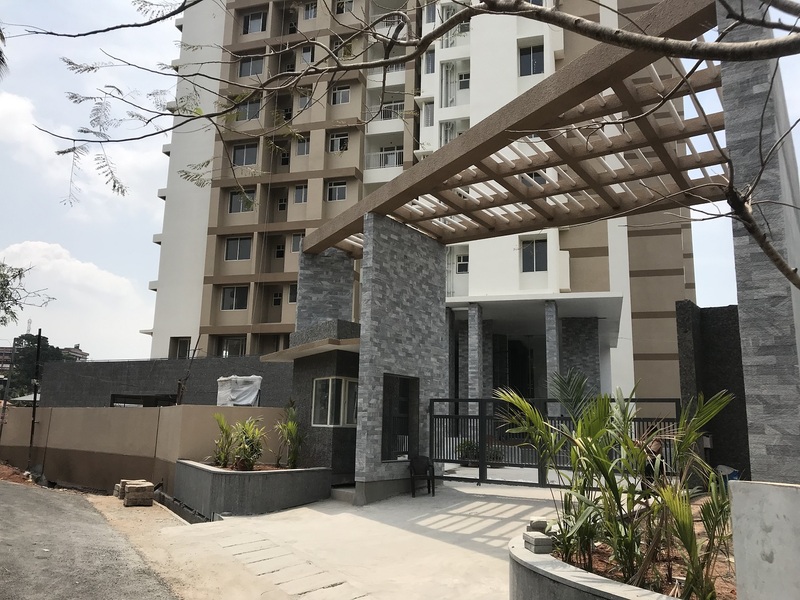 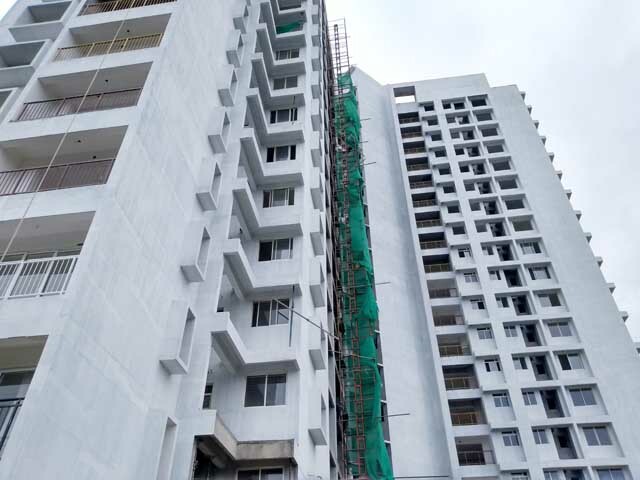 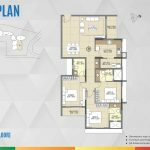 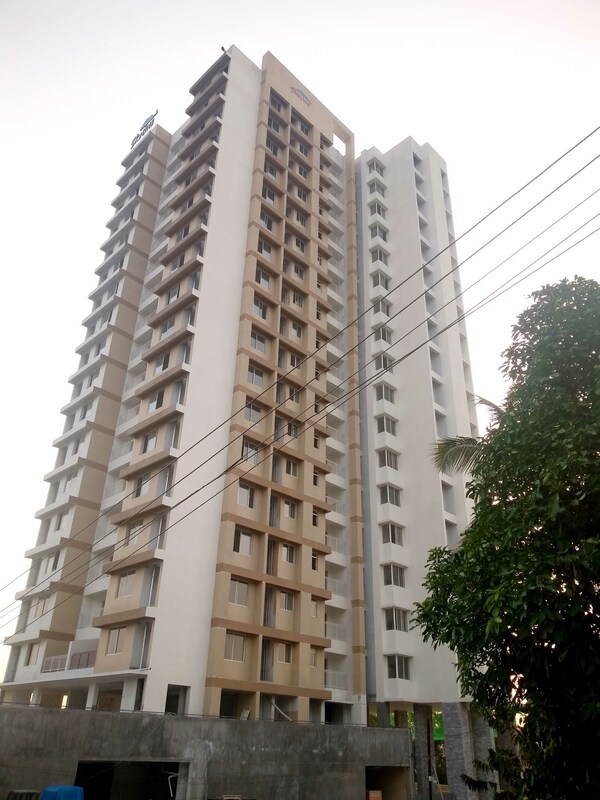 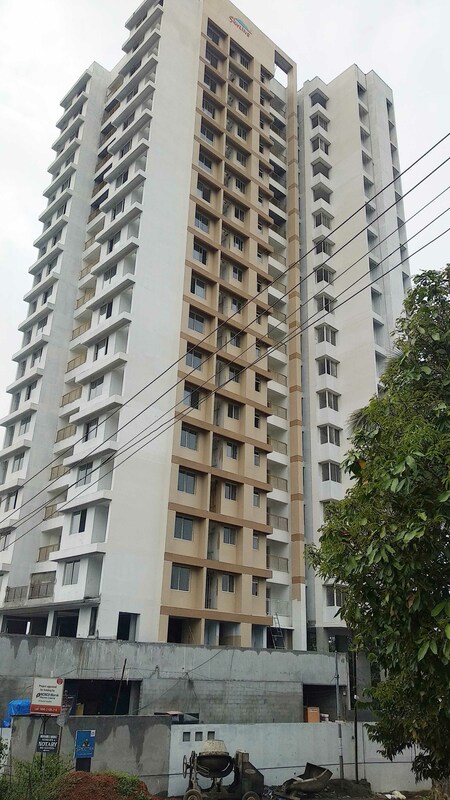 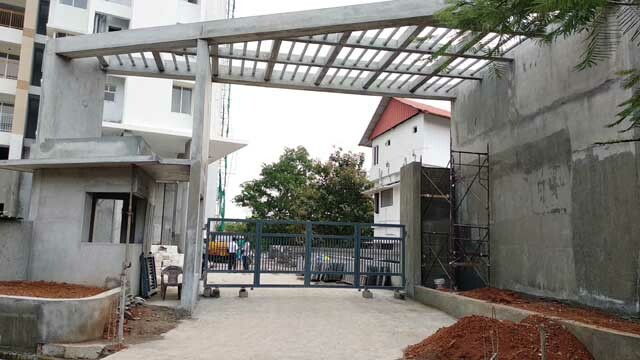 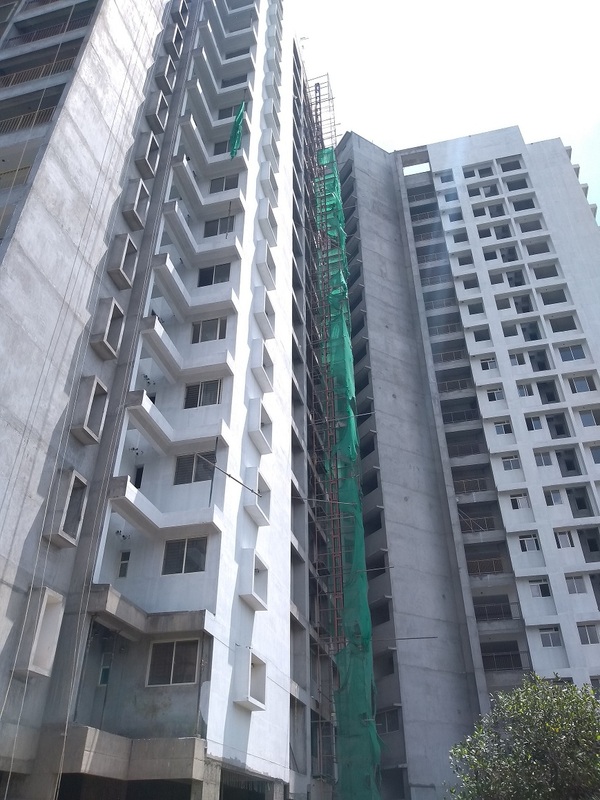 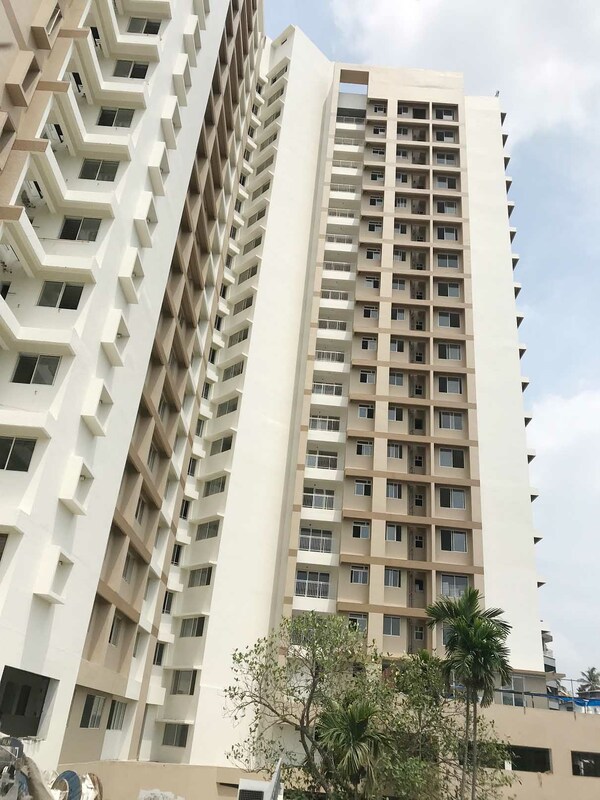 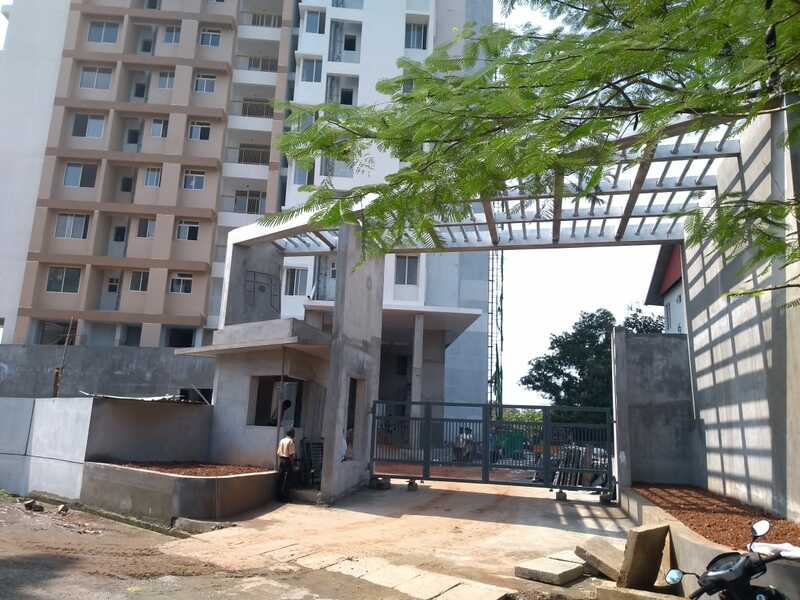 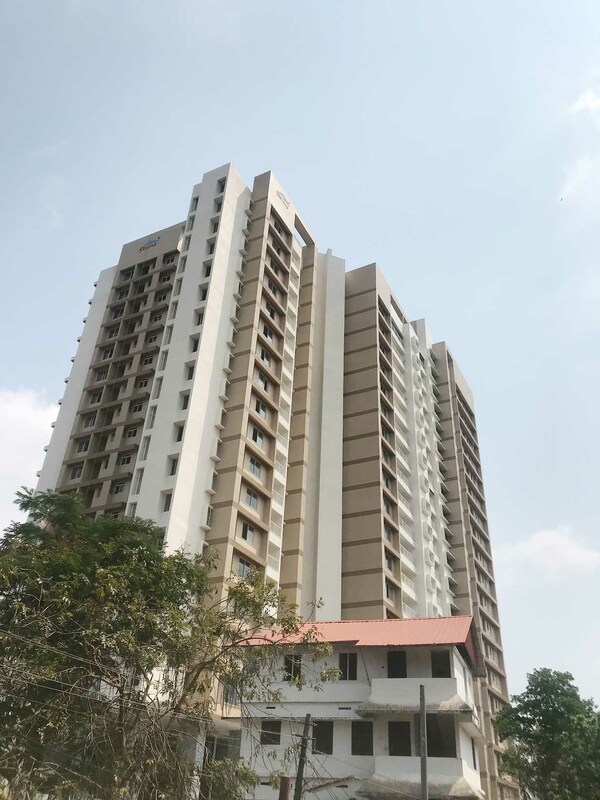 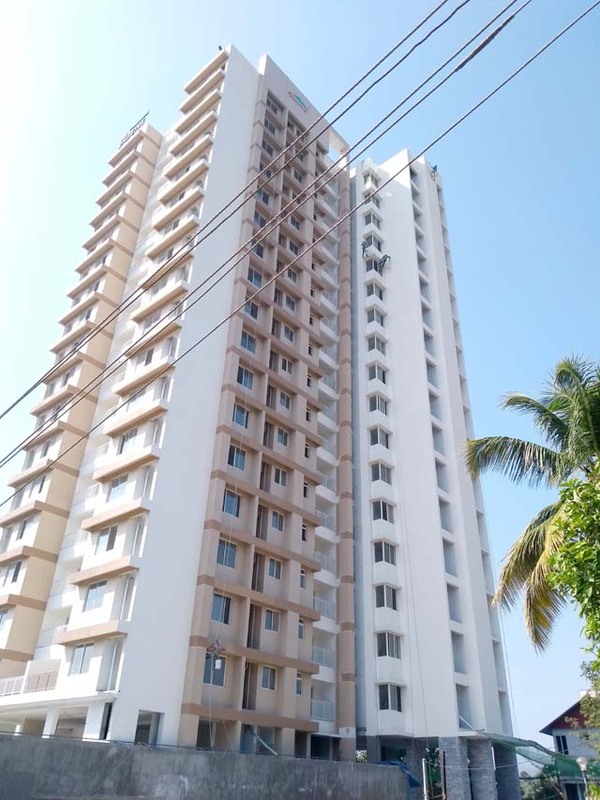 In addition to this, these ready to move-in flats near Infopark are well connected to the other parts of the city. 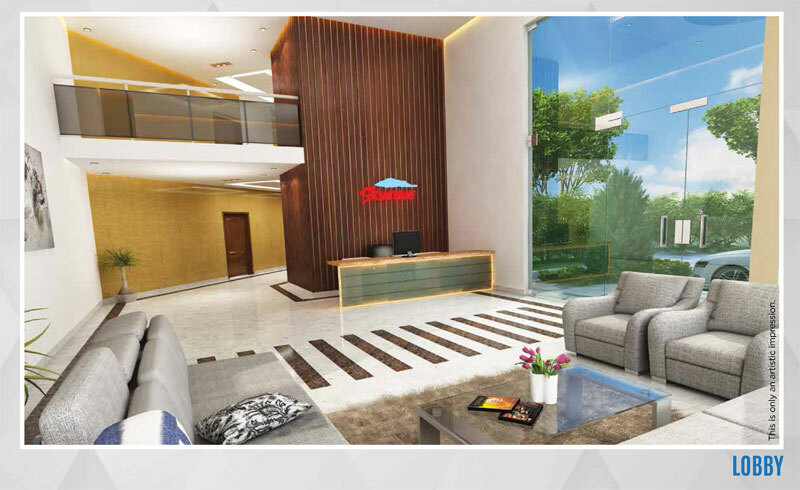 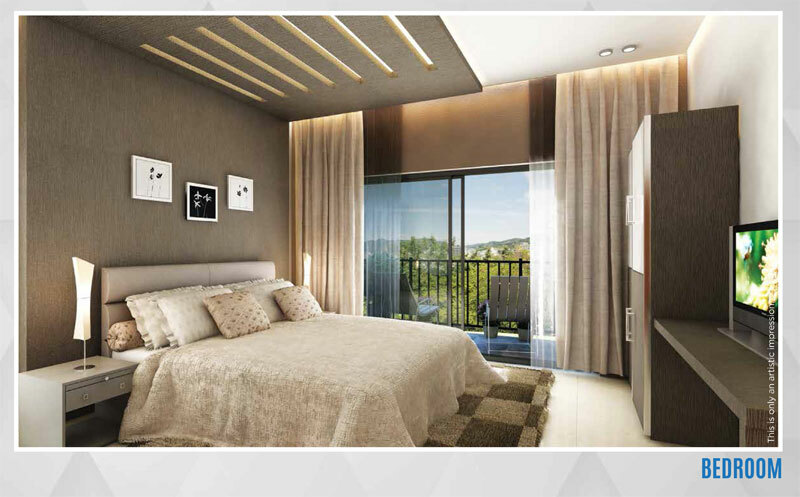 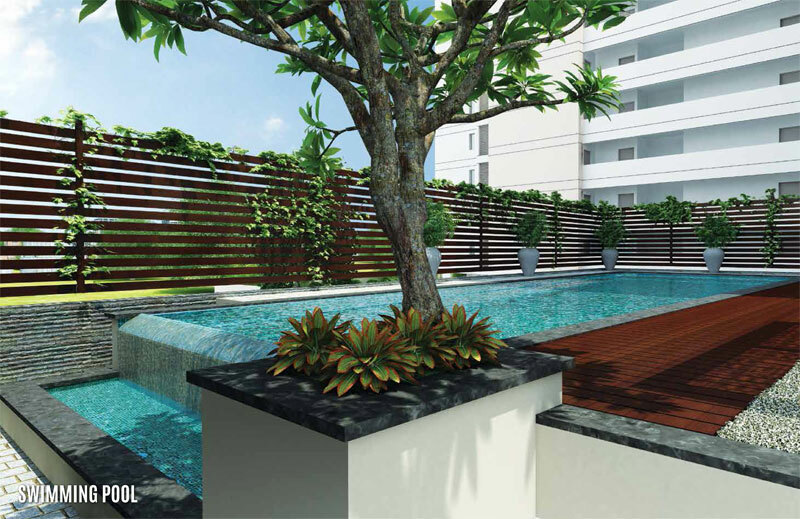 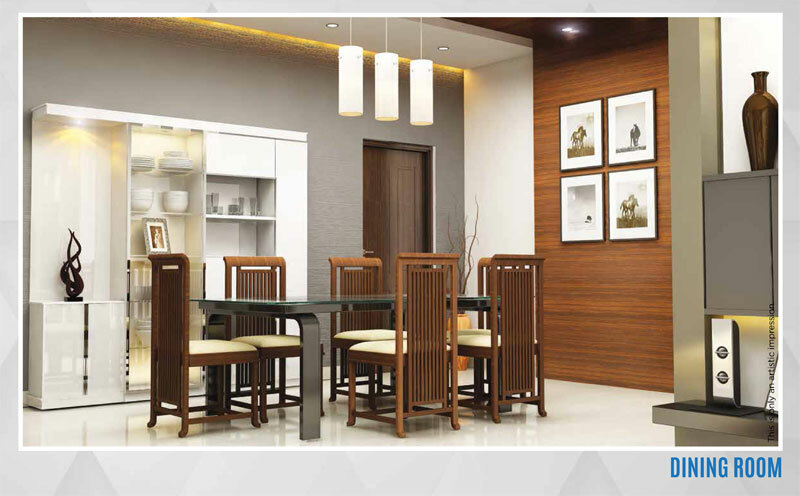 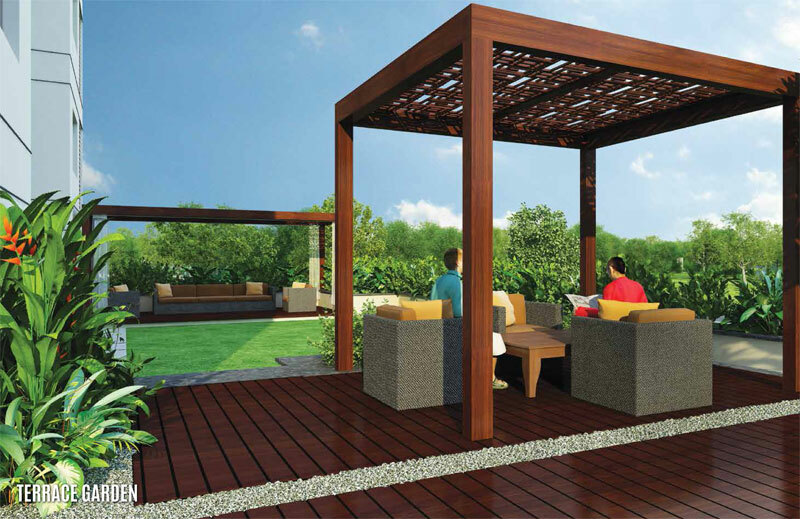 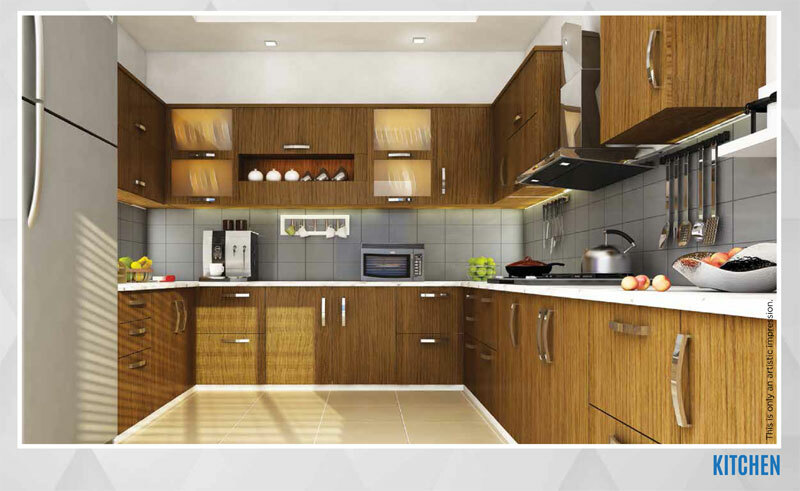 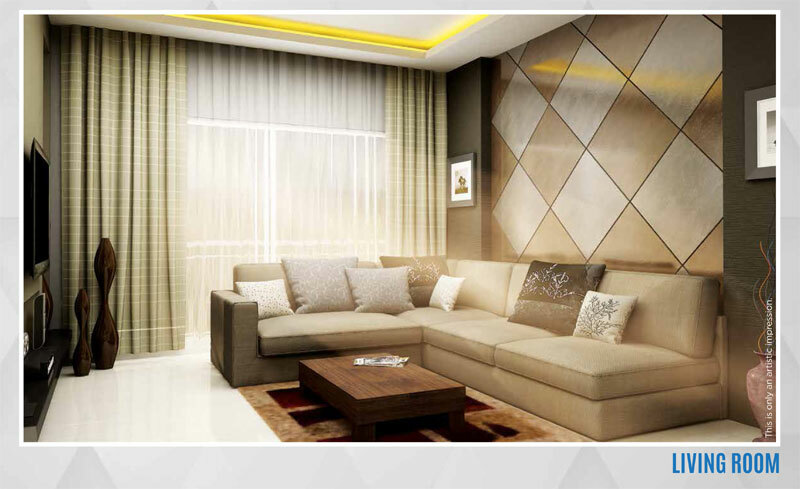 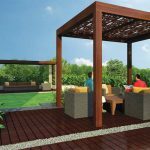 Skyline Spectra offers unmatched luxury and pristine nature for a comfortable life. 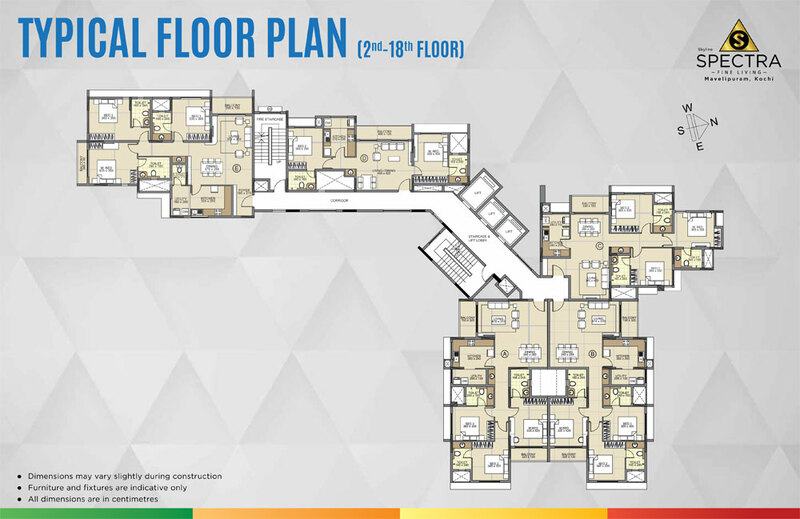 The charmingly designed 19 floor (G+18) high-rise comes with a host of luxurious amenities. 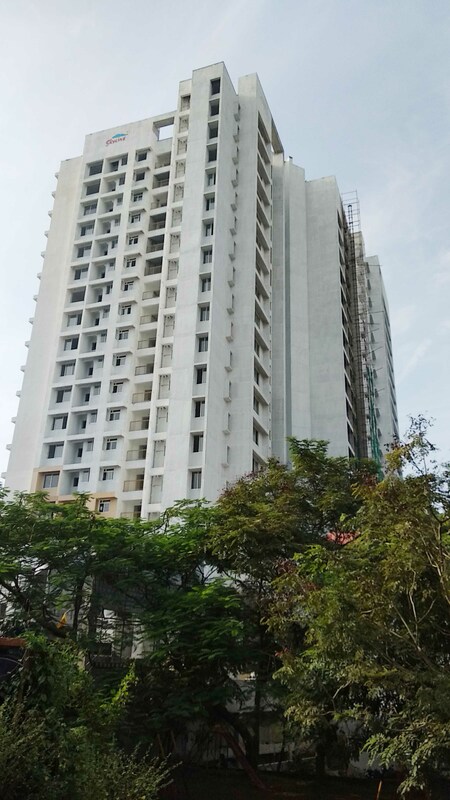 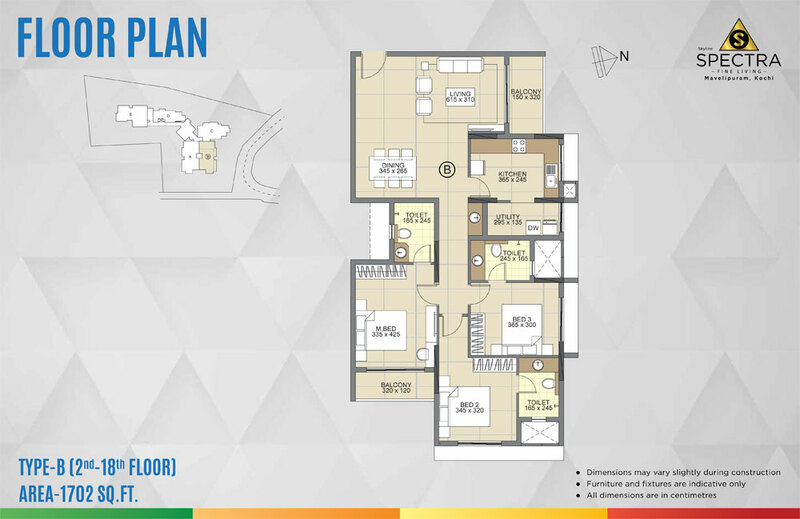 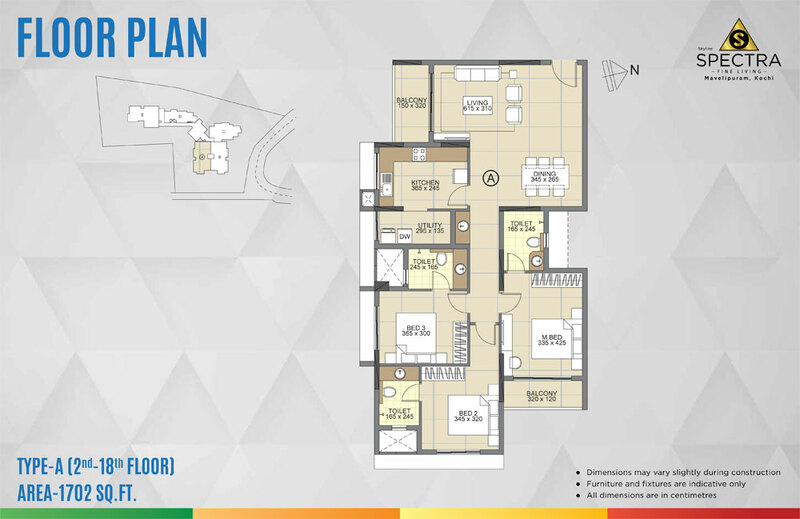 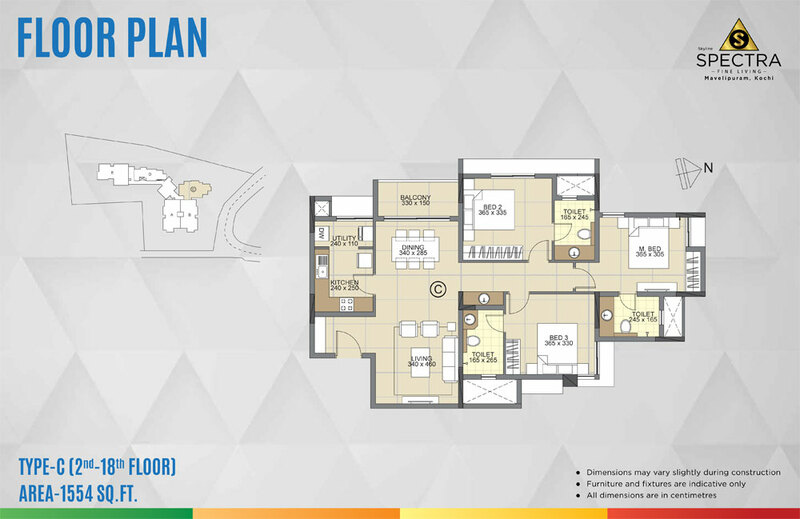 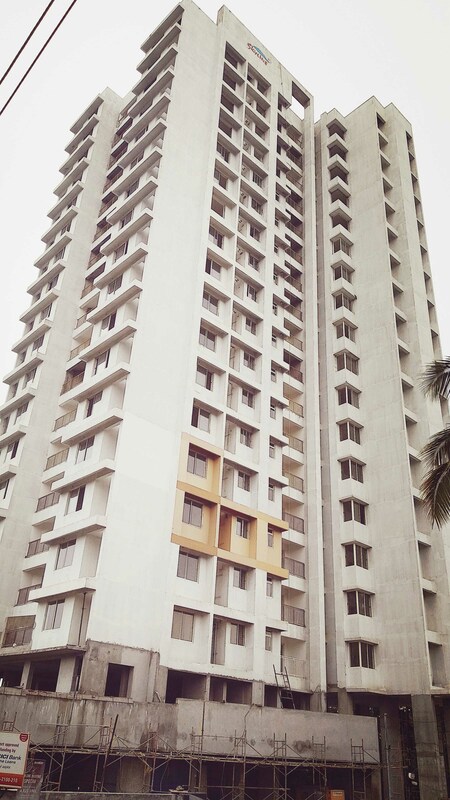 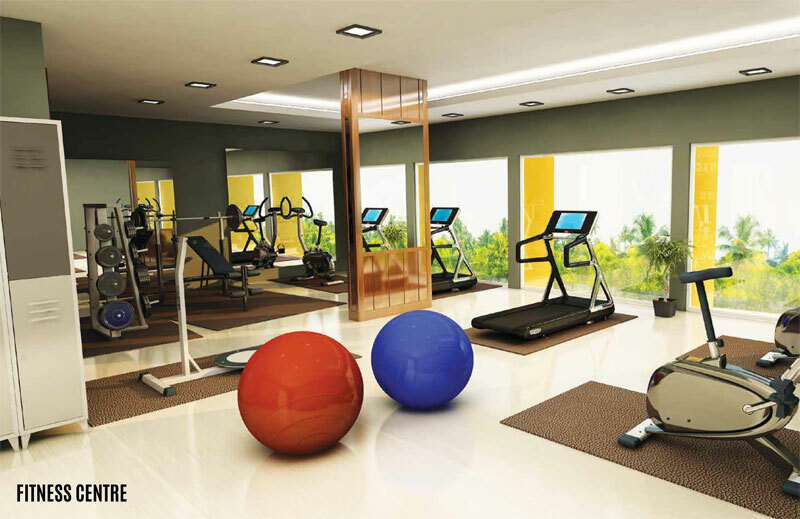 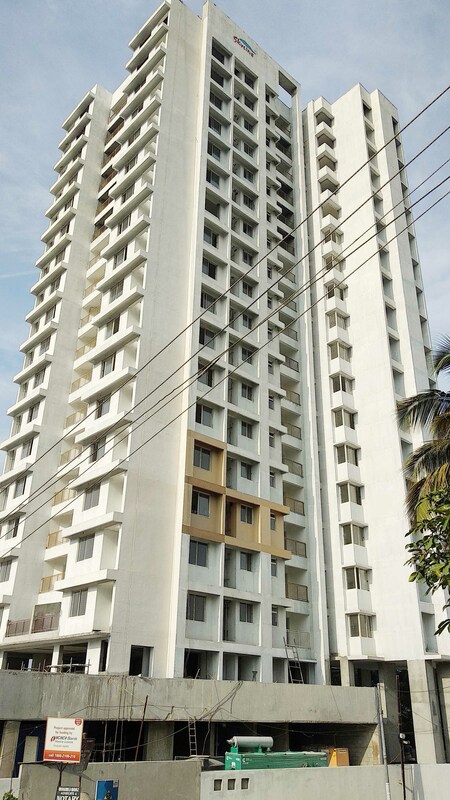 Skyline Spectra has 87 apartments with a configuration of 2 and 3 BHK ranging from 1125 sq.ft to 1886 sq.ft. 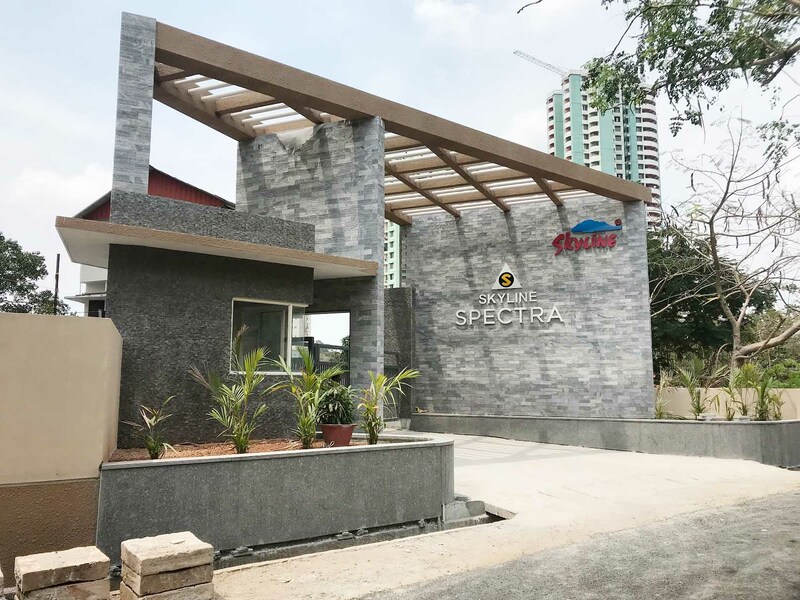 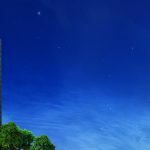 Skyline Spectra offers an L-shaped structure and the tower minimizes the building’s footprint to provide vast open spaces. 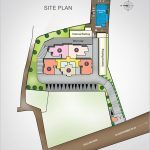 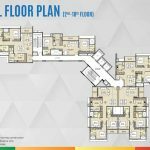 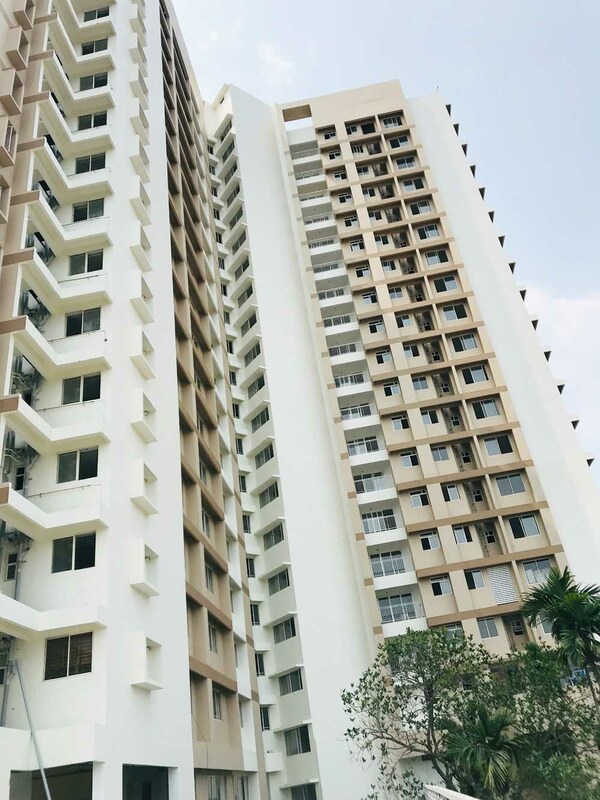 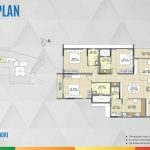 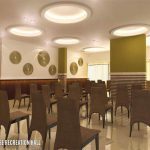 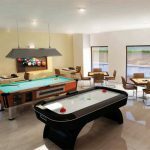 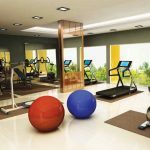 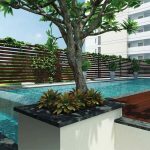 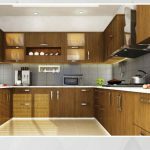 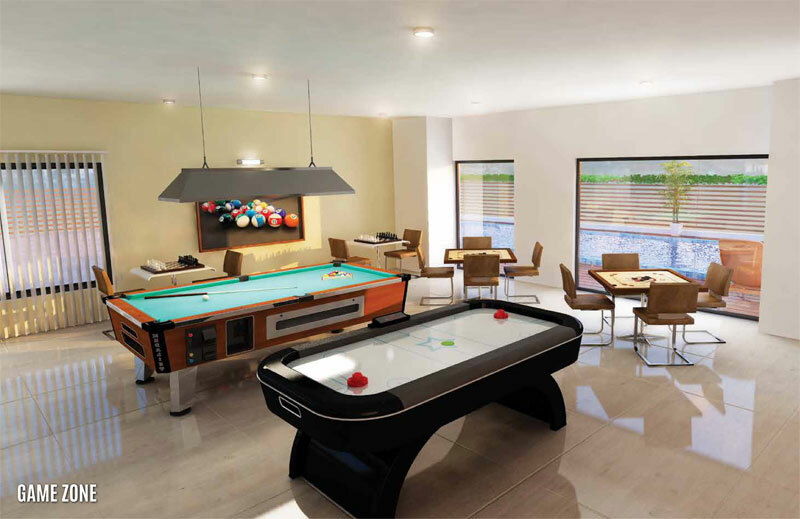 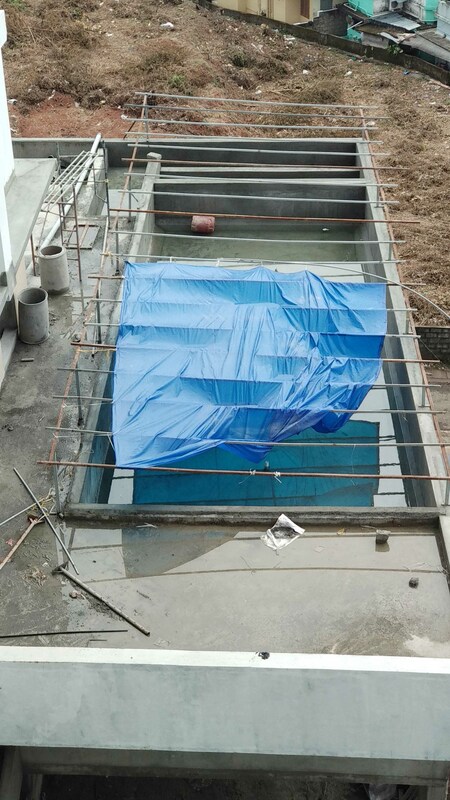 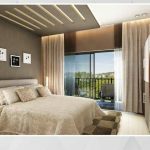 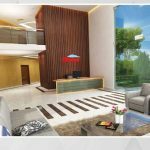 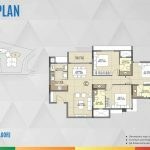 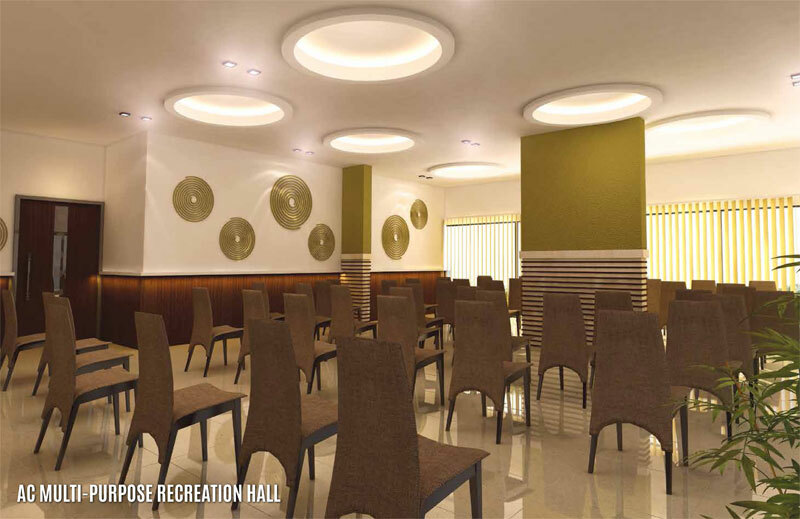 It is designed to provide paramount tranquillity and the first floor has common amenities like swimming pool, fitness center, multi-purpose recreation hall and other recreational options. 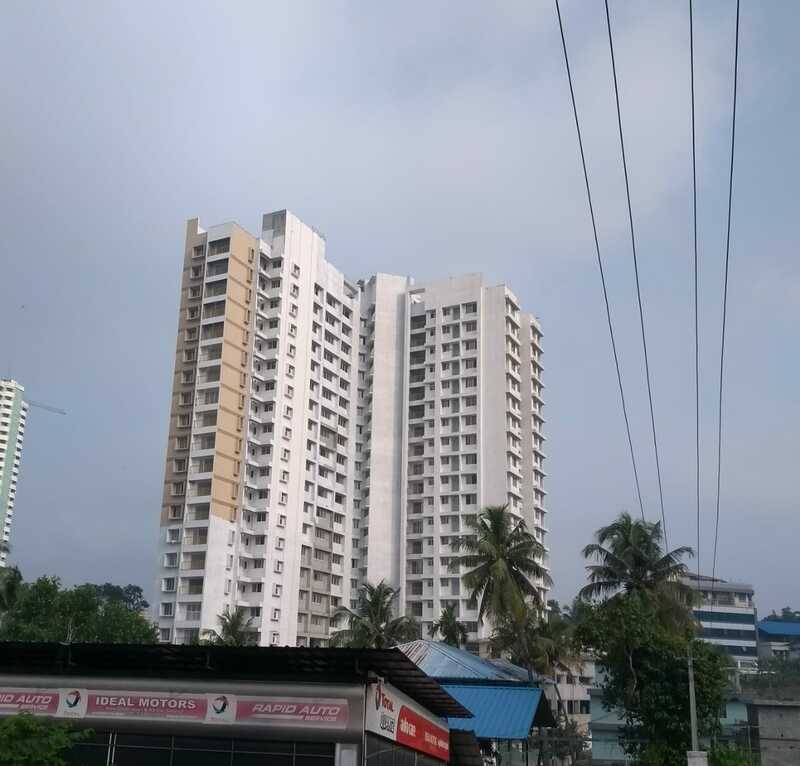 (B.P. 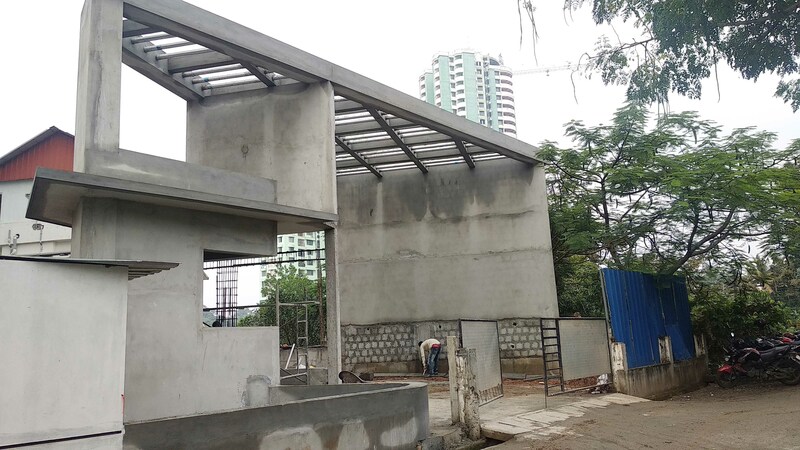 NO: TP1-TBA(11395)/2015). 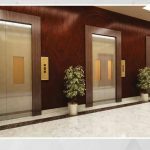 Three fully automatic lifts (two passenger lifts and one bed lift). 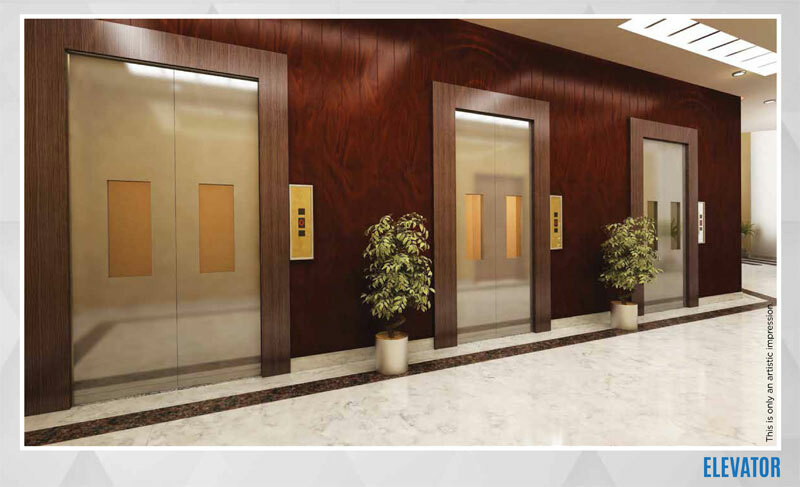 Three fully automatic lifts (two passenger lifts and one bed lift). 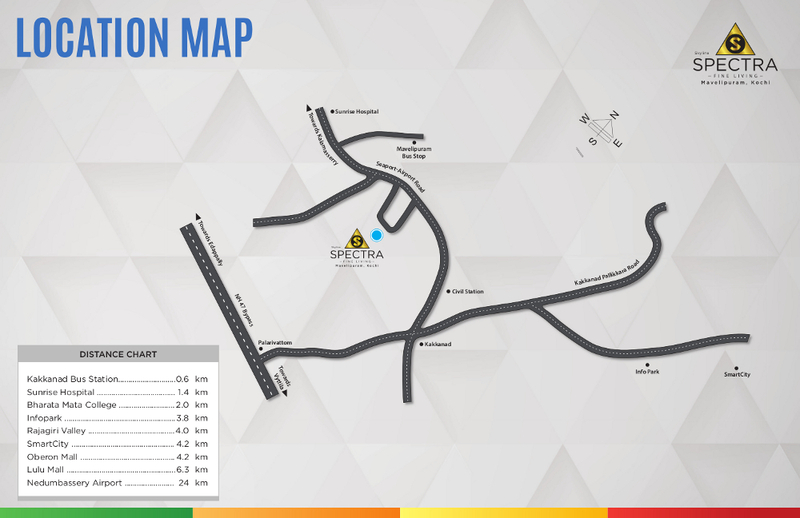 Fire fighting arrangements as per NBC norms. 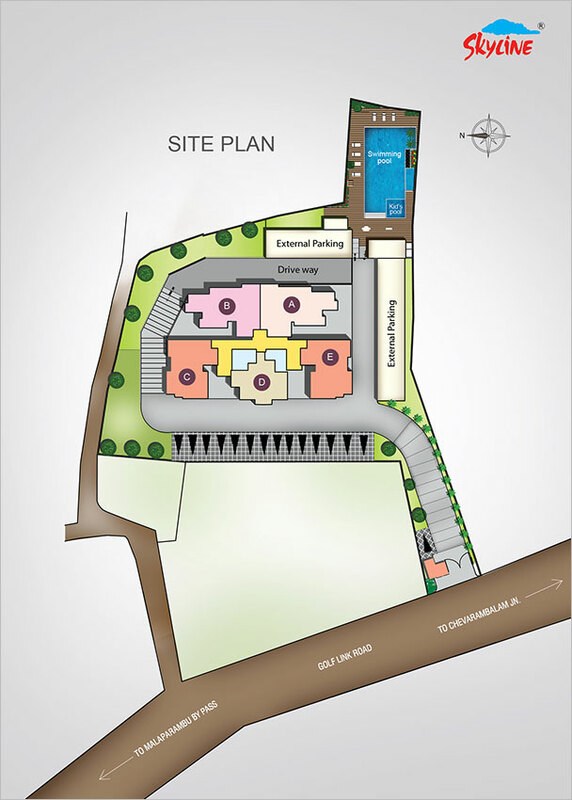 Fire fighting arrangements as per NBC norms. 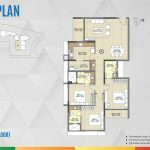 Provision for fixing split AC in all bedrooms. 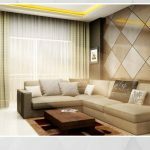 Provision for fixing split AC in all bedrooms. 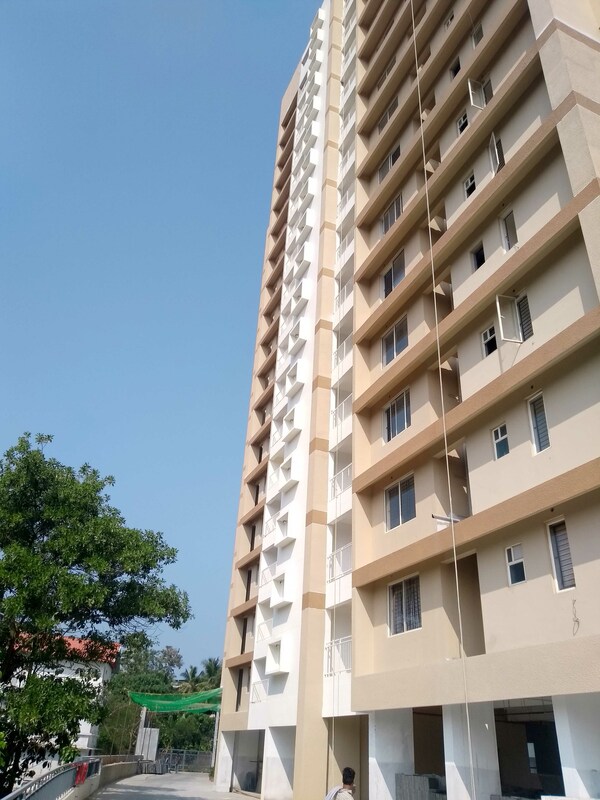 External Painting-Second coat emulsion works 90% completed. 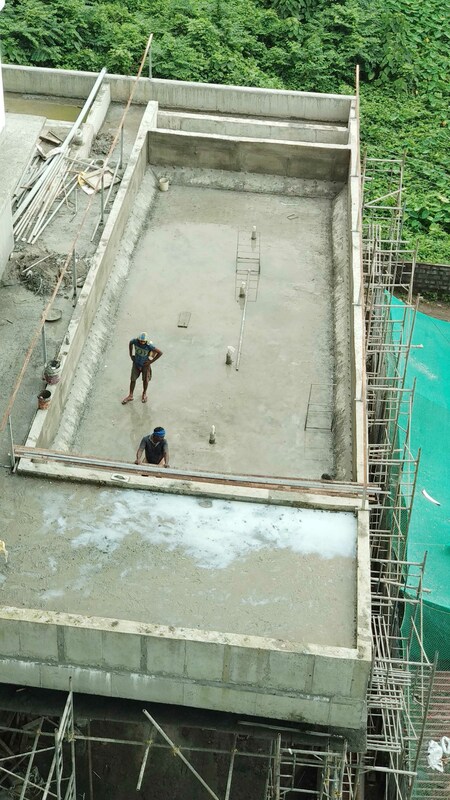 Compound wall-First coat Painting works completed and application of Second coat painting in progress . 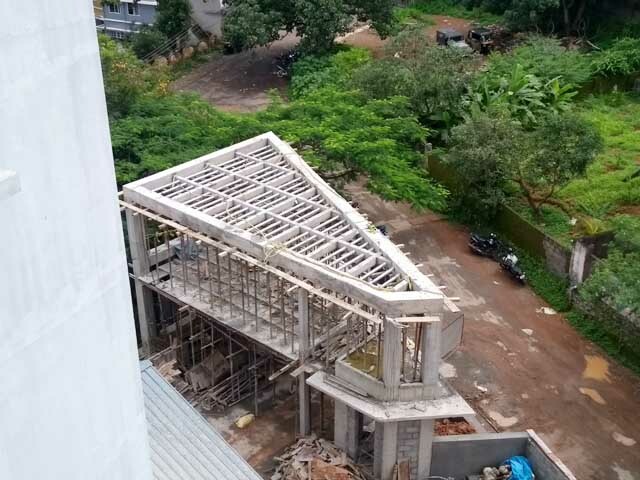 Typical Lobby-Lift cladding works in progress. 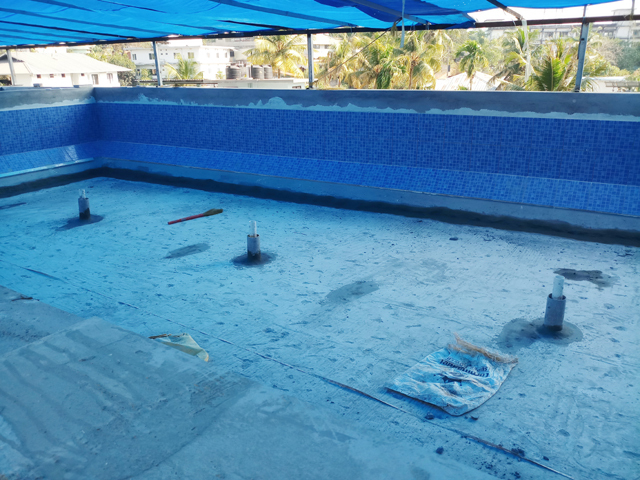 Main entrance - tile paving works 70% completed. 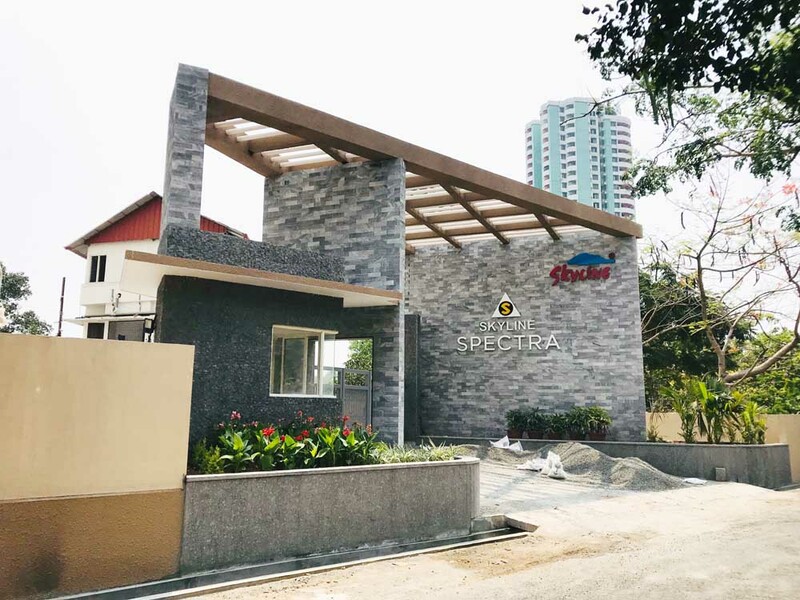 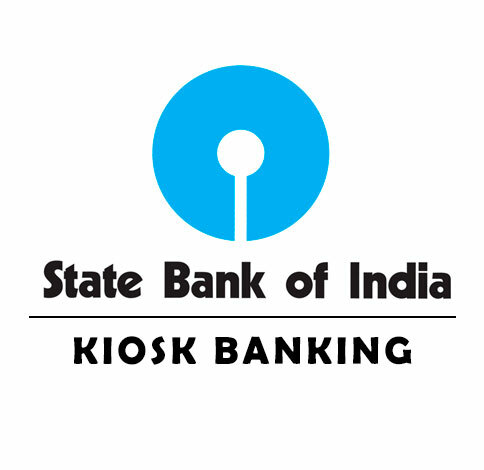 Why Invest in Skyline Spectra?